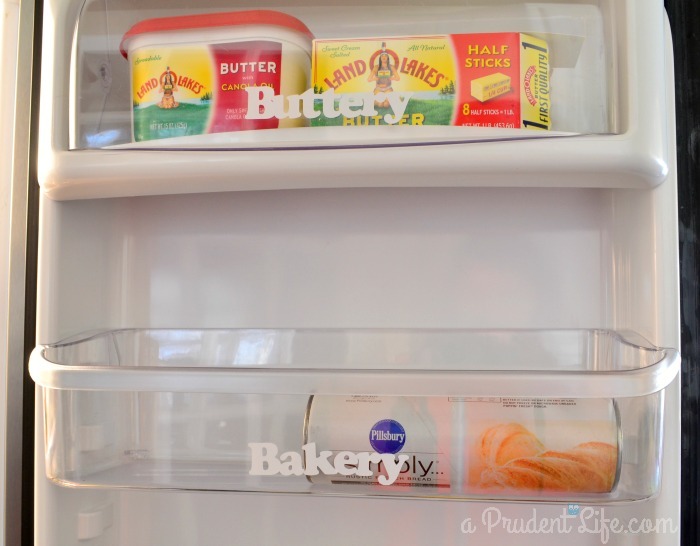 In my March goals post, I shared my plan to whip my refrigerator into shape. I’m happy to report that I met this goal and my fridge is organized! I even went above & beyond and shared the entire kitchen this week. It didn’t feel right showing you INSIDE the fridge when I hadn’t done a full kitchen tour before. Speaking of before, here is what the fridge used to look like. I waited to do this project until right before grocery day. That minimized the amount of food sitting out & made it less overwhelming. Just make sure to plan for all the things you normally have on hand! My first step for this project was actually clearing the counters so I had room to organize. Next I emptied EVERYTHING out, including the shelves and drawers so I could give them a good cleaning. 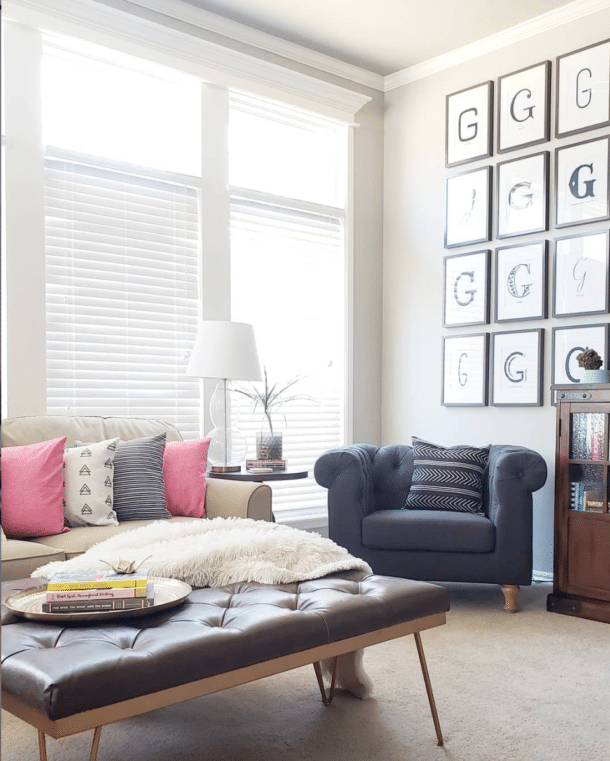 When I replaced the shelves, I also adjusted the height of them to best fit our needs. Like my other organizing posts, I started looking for bins to use a few weeks before I was ready to start. 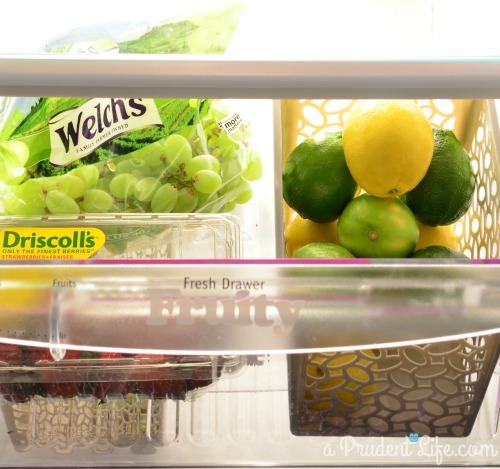 Have you seen how much the special clear refrigerator bins cost??? Not so budget friendly! I’d rather save on this project so I can splurge in other areas. I found some almost clear containers on clearance at Target for $3.81. I bought three of them, plus a few Dollar Spot bins and one gray basket I had on hand. Total out of pocket cost was only $13.50! 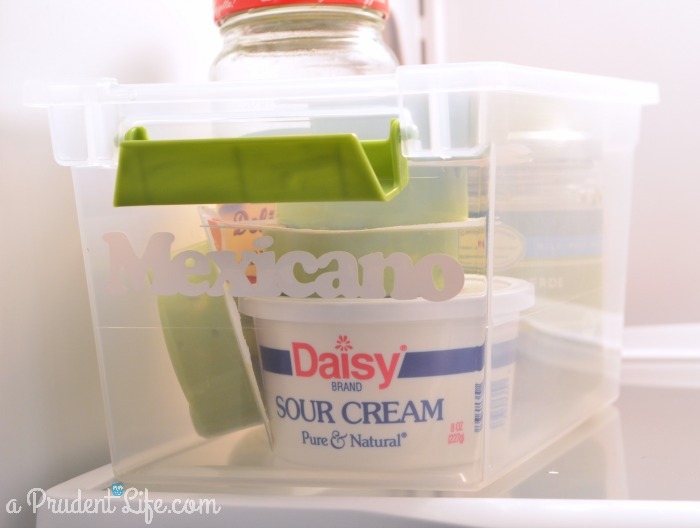 The grouping I didn’t originally plan on, but that I’m most excited about is our Mexicano container! Mexican is our go to food several times a week and now it’s really easy to grab the whole bucket at once. We’ve got salsa, jalapenos, sour cream, & guacamole all together! I LOVE making fresh guac & salsa, but we always have some on hand for quick weeknight dinners or lunches. 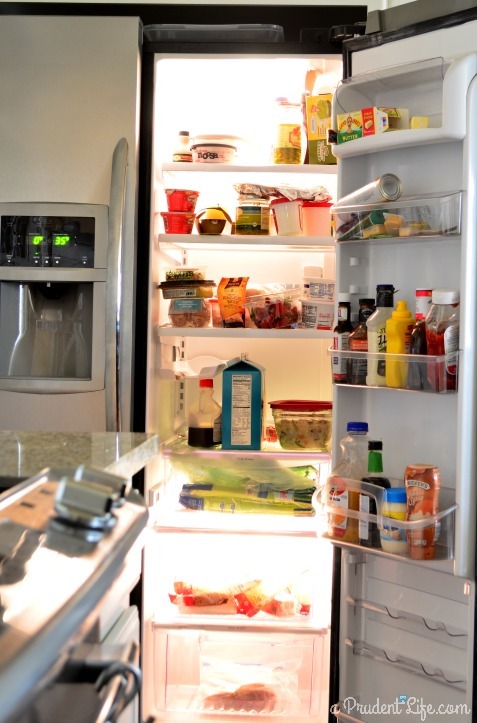 When I had everything sorted, I loaded the fridge back up and walked away for awhile. This helped the refrigerator get everything back to temp and gave me time to make sure I was happy with the new system. * and some white vinyl to make labels, but you could also use mailing labels in a regular printer or even a sharpie. Leftovers – I actually reserved the entire top shelf just for leftovers. Now if there is something up there, I know we need to eat it soon. Before leftovers were shoved in, ended up behind other things, and got forgotten. You can’t see this shelf in the pictures (it was empty), but I can’t wait to use it! Here’s a “map” of where I put everything. And a few more pictures…. I LOVE my new citrus bin in the fruit drawer! How great is it that all the easy grab snack items are in one place? I think when I separate fruits & veggies into snack baggies, they will go in this bin as well. I love that each drawer now has a specific “job”. Before everything was all commingled in the worst way! I did make an exception and put the sandwich cheese in the meat drawer. It makes more sense to be with the lunch meat than up in shredded cheese land. 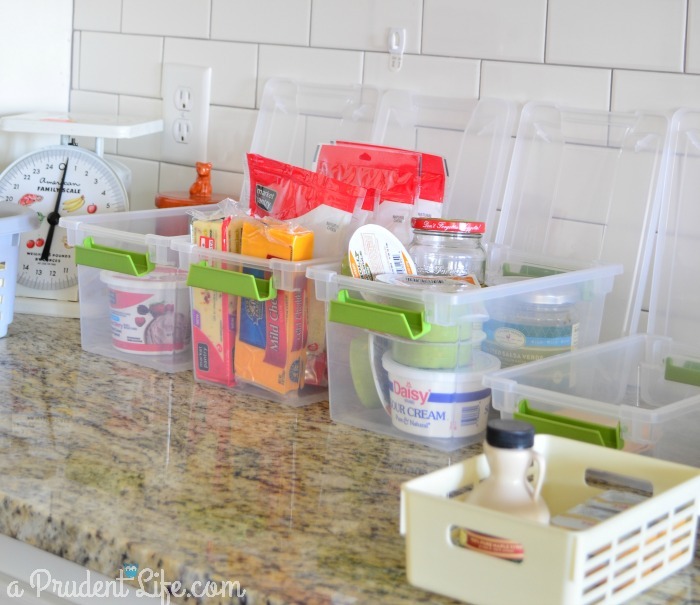 Next up, you can see how I organized the rest of the kitchen to make cooking and entertaining a bit easier! This process was actually very fast – probably 30 minutes of hands on time. I can’t wait to see how much time and money we save because we know what we have and where it is! *Affiliate Disclosure: Please note that when you click links to other websites and buy items, I may receive a small commission. Using affiliate links to show you the products I use helps me offset the cost of running the blog. The products used in this post were all purchased by me. This post made me both hungry for some Mexican food and ashamed of the status of my fridge haha. 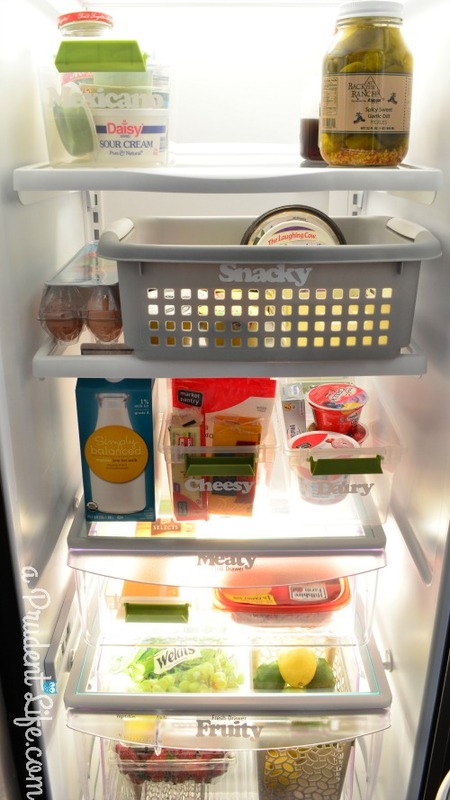 Great tips with the bins to easily store similar items! Ha! I was so hungry after writing this post! Fantastic! I would love to do this but wonder if my husband would be on board. I can just see him opening the fridge and doing an immediate face palm. I get that a lot. Haha! Love the gray bins! You are seriously a genius! Your organization is so great! 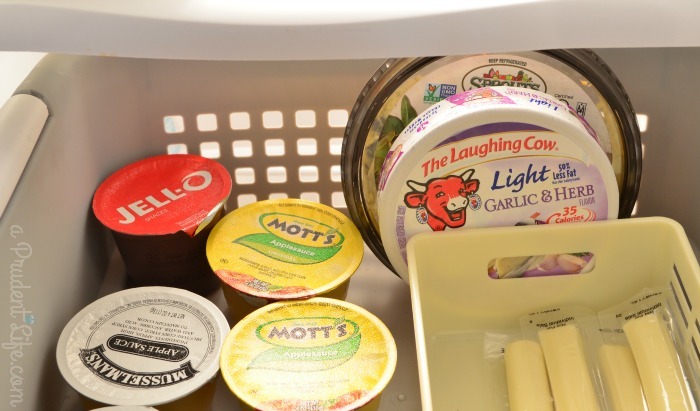 I want to get my own little organizing bins for my out of control fridge! P.S. Don’t you just love those little single serving wholly guacamole packs? I could seriously get out of control with guacamole, but those are the perfect size! YES, the 100 calorie guacamole packs are definitely my friend!!! 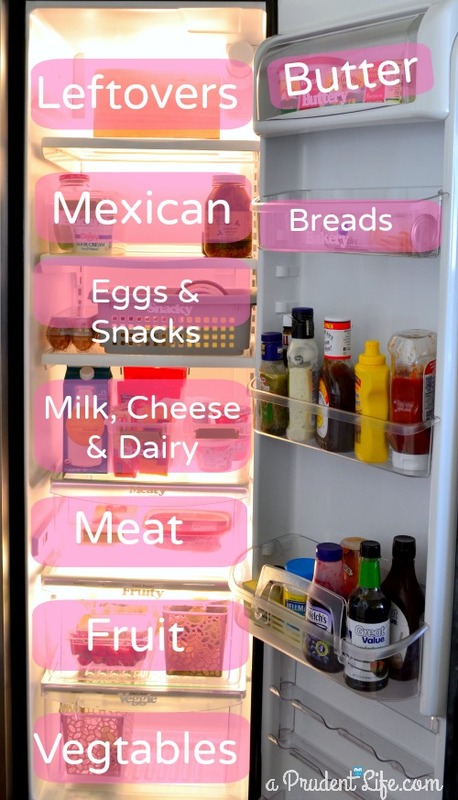 Melissa, I love how you organized your refrigerator. Makes it so much easier so food actually doesn’t get lost and forgotten… and having to be thrown away! Great tips! Yes, I feel so bad when we waste food, and we did it way to often. I’m REALLY hoping this helps. I love this idea. One of the tasks on my to do list this weekend is to organize the fridge. I hope it turns out as great as yours. Thanks Sandy! I’m sure yours will be great too! 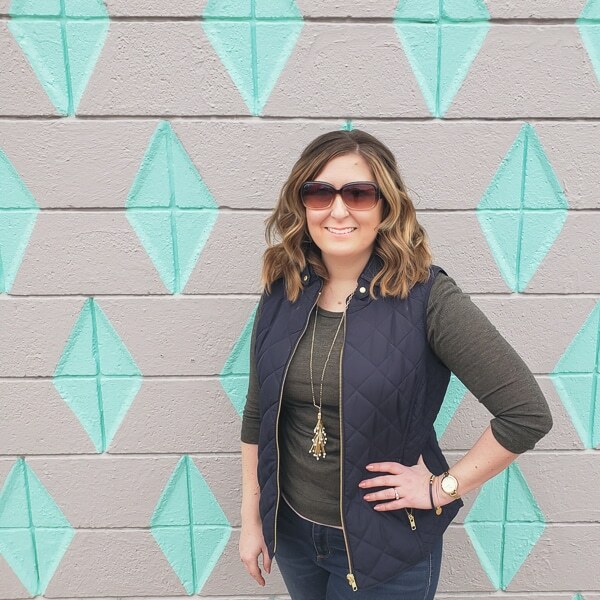 Looks great, Melissa! I did my pantry this week. …. Fridge is next (hopefully). You should see the current state of it (seriously … How do we live like this?!?). I’m inspired by how nice your after looks, though!! Thanks for the motivation I needed!!! Thanks Katie! 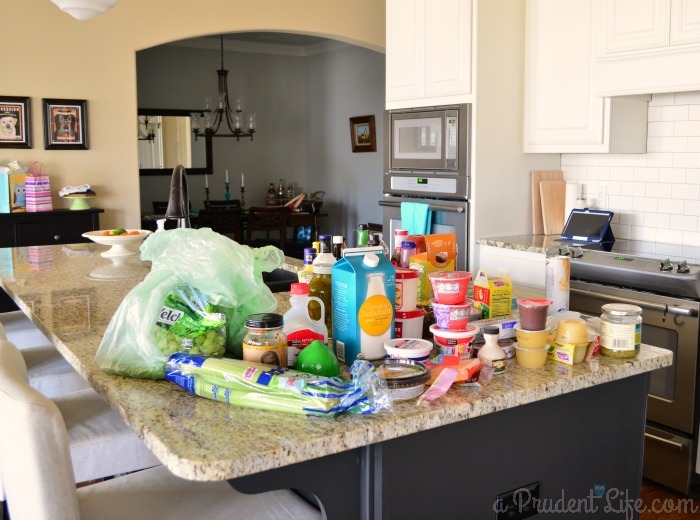 The pantry is on my list too, so I can’t wait to be I inspired by yours! I love this! I bought some containers for my fridge as well but I didn’t think about putting the labels on them. Those are great! LOVE your organization!!! I’m inspired. We got a new refrigerator a few days ago so not so much clutter yet and a great time to organize. Just a note from my years of teaching culinary: meats should be stored at the bottom so they never leak onto other foods (salmonella) in a restaurant situation and could be easily accomplished with your plan as well. Thank you so much for sharing!!! Thanks for sharing Debra! That makes sense about the meat – the appliance companies should work that into their designs too. I know our bottom drawer doesn’t get as cold, but I’m glad you shared that tip for others. Wow! 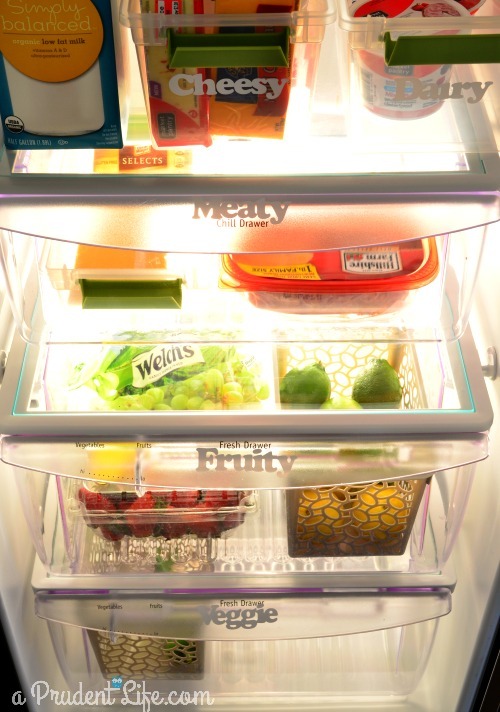 I am totally lusting after your hyper-organized, spotless fridge! And inspired to work on my own. Thanks for the ideas! Gosh, I WISH I had some better tips for you, but we aren’t the best at leftovers either. Putting them in a specific spot (the top shelf) has helped some, but it’s really going to be discipline that makes us eat them. As far as containers, the glass Rubbermaid containers are my favorite. The glass is microwave safe and doesn’t stain. We tended to lose track of what leftovers were in the fridge until I put a dry erase board on the front of the fridge. I put the name of the leftover as well as the date it is cooked and we not only use all the ldftovers but I know what needs to be thrown out and when. Works wonderfully! 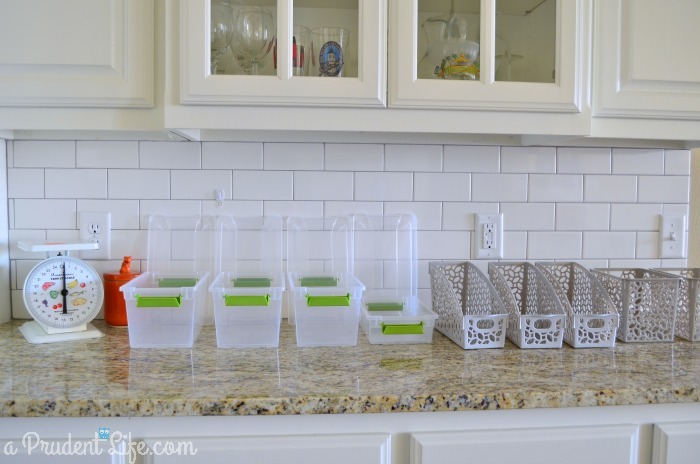 Where did you get the “lacey” storage bins? I love them!!! Thanks! Hi Janine, they are from the Dollar Spot at Target!